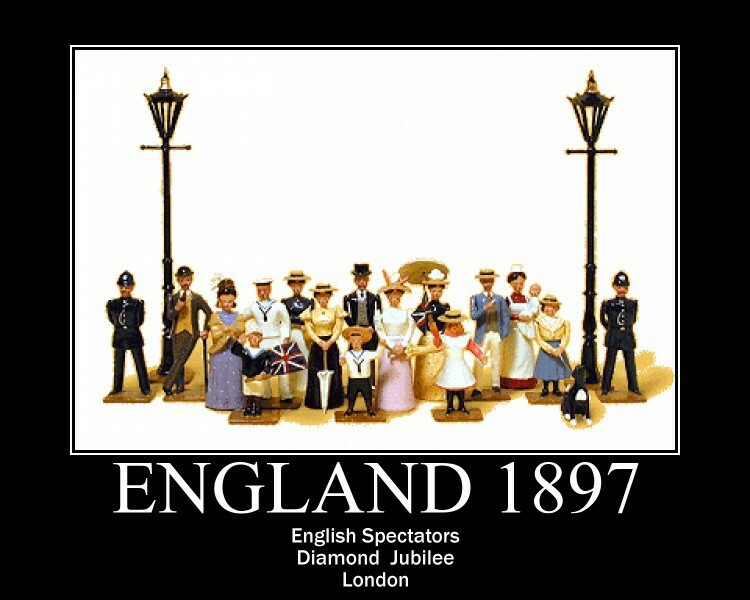 Among my collection of William Hocker�s Toy Soldiers are sets representing the American South during the Civil War of the 1860s and the British Empire of the 19th Century. I was looking at sets 325 Regimental Muster (Confederates) and 118 Our Army Off Duty in India and noticed that 3 figures from each set had an interesting connection. There was a military officer, his wife holding a parasol and their infant child being held by a servant (an African American and an Indian woman n). Besides this visual similarity there are actually historical connections between the 2 groups. 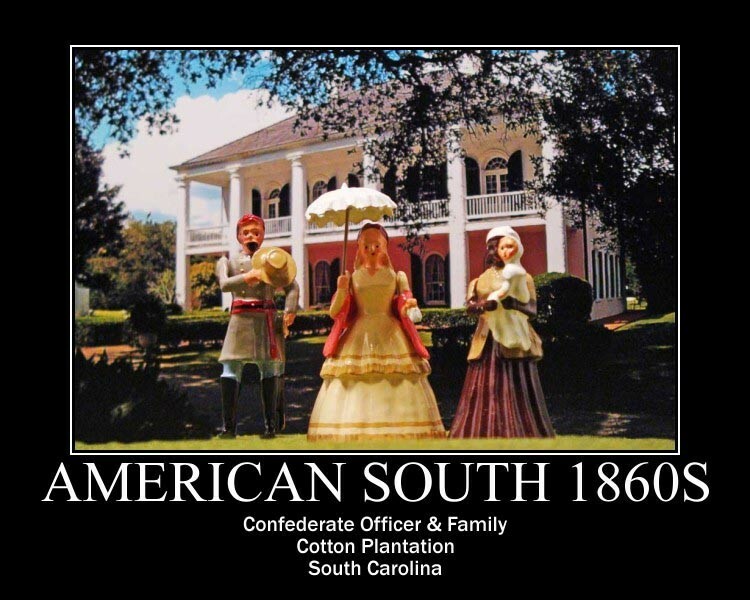 The American South of the Antebellum and Civil War era has been described as a �Cavalier� society influenced by English aristocratic culture and the concept of chivalry. It is nor surprising, therefore, that the historical romances of English novelist Sir Walter Scott such as Ivanhoe and Rob Roy were bestsellers in the American South. Southerners were definitely Anglophiles and after the outbreak of war in 1861 hoped that they would have support from their British cousins. 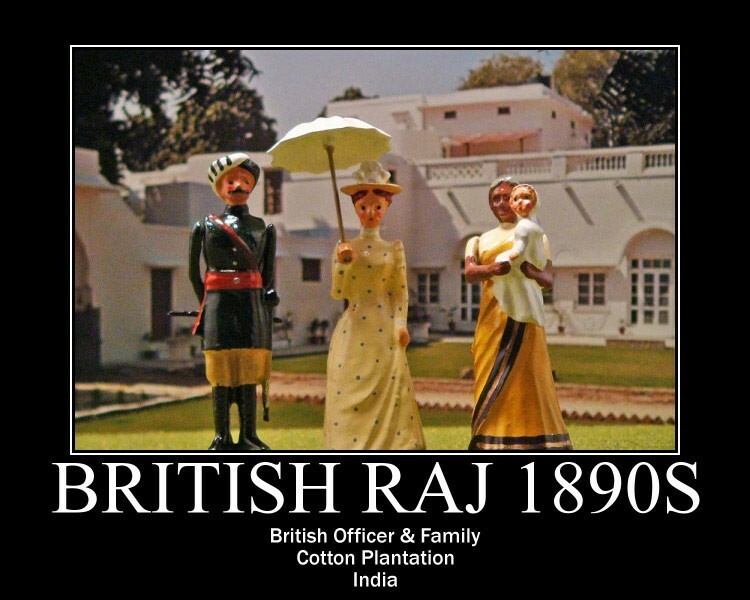 The British Raj as represented by set 118 although 30 years later in date than the Confederate set makes a good comparison with it. The British Empire overseas in India was in part a plantation society, growing among other crops cotton which was the staple of the Southern economy and earned the region the nickname of �King Cotton�. Both the British in India and the Americans were responding to the Industrial Revolution and the rise of the textile industry. India had been a major source of cotton for the British mills in the 18th C but with the rise of the �Cotton South� in the 19th C was largely replaced by the Americans. During the American Civil War, however, a Union blockade of Southern ports revived India as a source for cotton for the English. 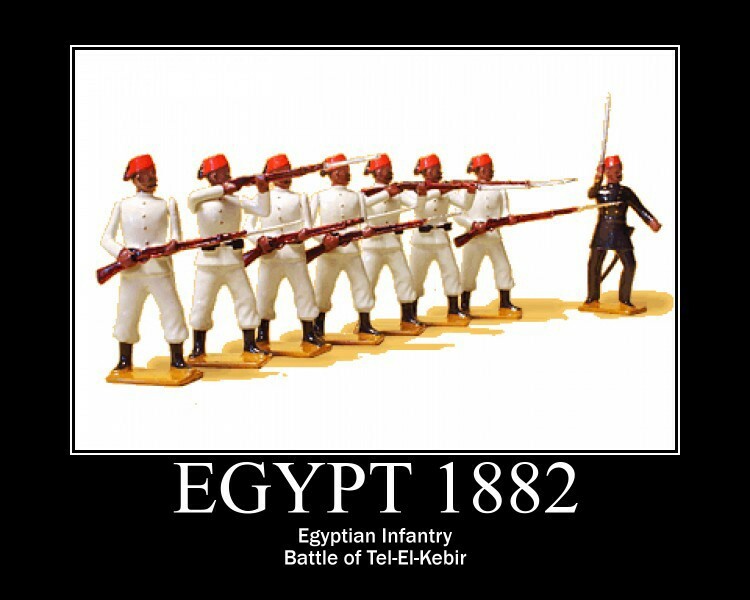 During the Civil War, the British also turned to Egypt as a source of cotton. 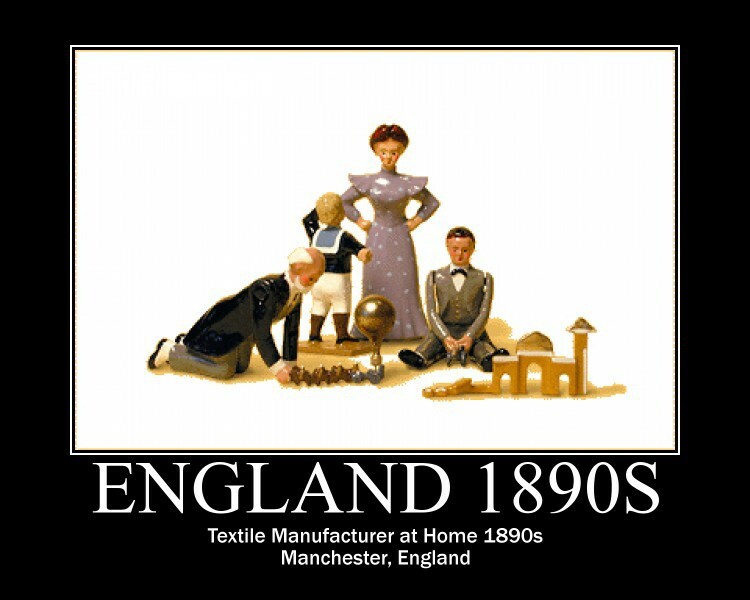 When the War between the States was over, however, England again bought the cheaper American cotton, causing Egypt to eventually go bankrupt. 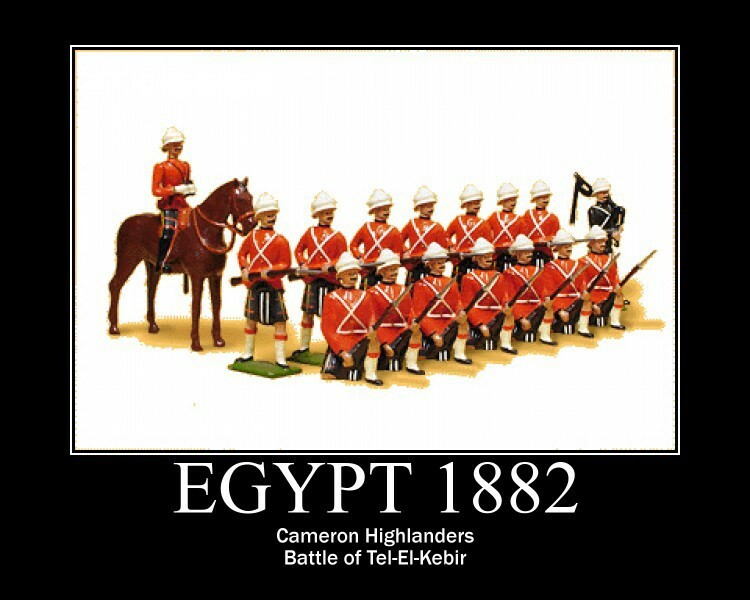 The resulting economic and political chaos in the country led to the British invasion of Egypt in 1882 and the decisive Battle of Tel-El-Kebir which resulted in British annexation of Egypt. 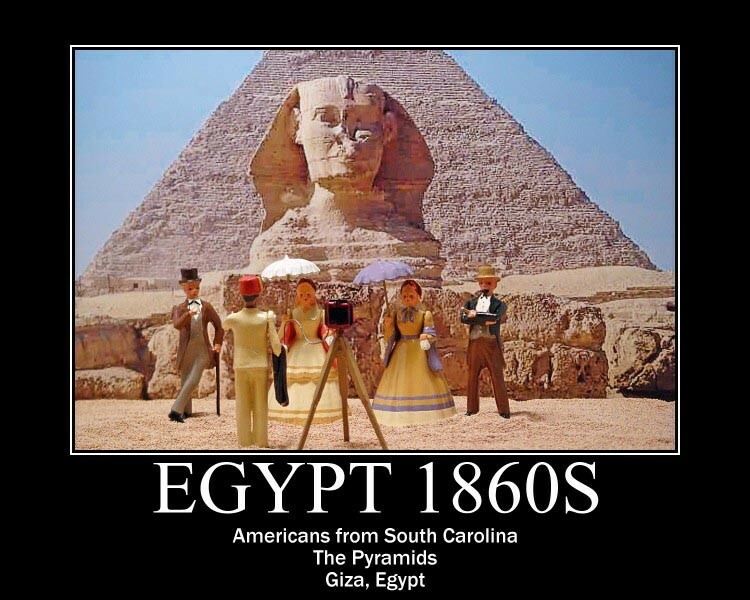 Ironically former Confederate officers were among the Civil War veterans who went to Egypt in the late 1860s and 70s to help modernize the Egyptian army that would be defeated in the 1882 battle. 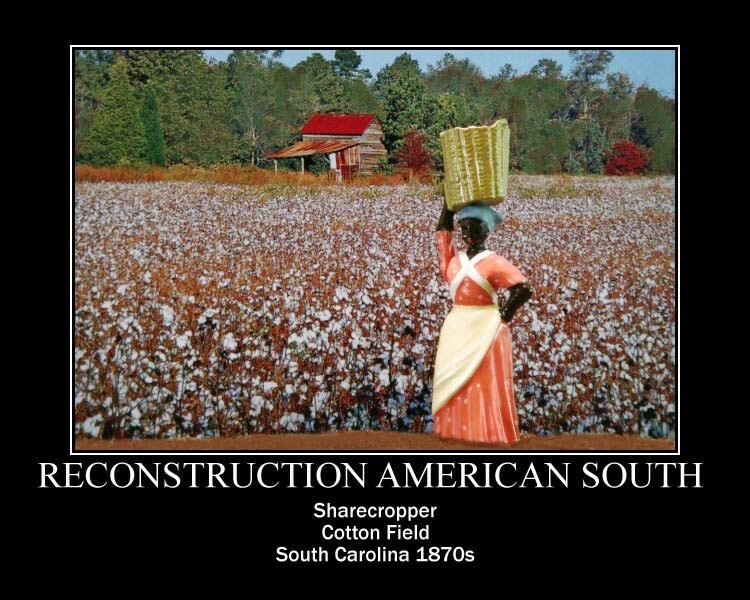 Since the Emancipation Proclamation and the Union victory over the South had ended slavery in America, cotton was now largely produced by the sharecropper system (a system of agriculture in which a landowner allows a tenant to use the land in return for a share of the crop produced on the land). African Americans became part of that system. Illustrations using Bill's figures follow.